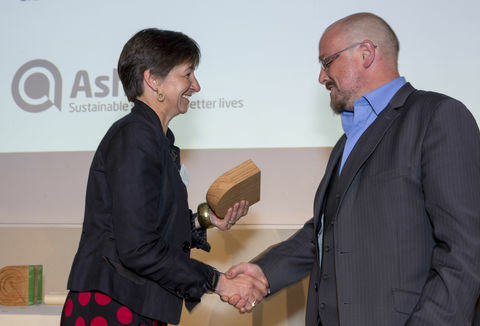 Miles and Gail Fursdon’s 2004 Ashden Award recognised their personal achievement in developing a micro-hydro scheme on their family farm. Miles and Gail Fursdon designed and built a 90 kW micro-hydro scheme at Old Walls, their family farm which lies within the Dartmoor National Park. The primary need was to provide an additional source of income for a hill-farming family. They also recognised the value of a practical demonstration of sustainable energy. In 2003 the scheme generated about 400 MWh/year of electricity, equivalent to the energy consumption of about 90 homes. The scheme avoids about 220 tonnes of CO2 per year. Two acres of mixed hardwoods, planted in parallel with the hydro development, have become a popular site for wildlife photography. The Fursdons' micro-hydro plant successfully links historic infrastructure with modern technology without damaging the environment. Miles Fursdon is fascinated by hydroelectricity, because Old Walls farm where he's lived all his life had been powered by a small hydro plant since 1936. 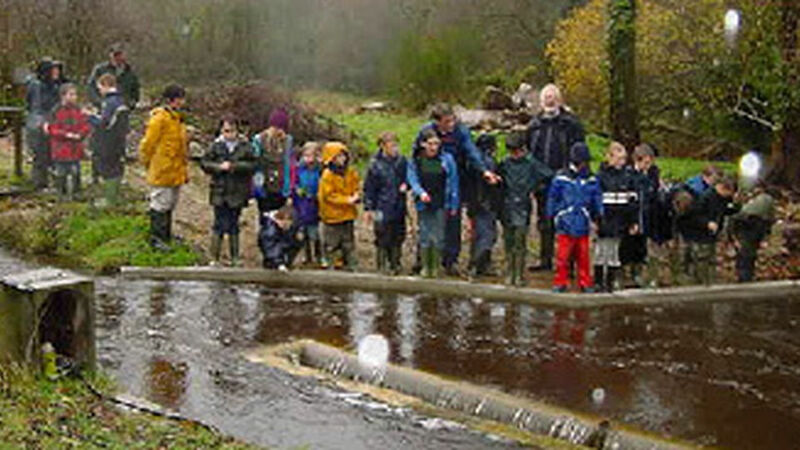 It was obvious to him that the West Webburn river could supply more than just their family farm, so in 1995 Miles and Gail Fursdon designed and built a 90 kW micro-hydro scheme. The scheme draws water from the river and channels it along the hillside in a leat. It then falls down a 100 m pipe and turns the micro-hydro turbine, before returning to the river. About 400 MWh of electricity is exported to the grid each year, offsetting about 220 tonnes/year of CO2 and supplying the equivalent of around 90 homes. The Fursdons had to overcome concern about developing a scheme of this type within the Dartmoor National Park. But with sensitive siting, the scheme was supported by the Park Authority and Environment Agency, as well as by the local Parish Council. Local school-children studied the construction, and Miles and Gail now offer walks and talks for all types of audience. The plant has made a significant contribution not only to environmental protection, but also to the economy of a local farming family and community. Both the Fursdon’s children have returned to work in the area, and their son-in-law runs his own renewable energy business. Care was taken to work alongside the Dartmoor National Park Authority and Environment Agency, both of whom had to give approval. There is also enthusiastic support for the scheme in the local village. Water diverted from West Webburn river via a 0.5 km channel along the valley side. Water passes through a screen which blocks fish and debris, and then falls down a 100 m penstock to the 90 kW turbine. Turbine, generator and control equipment are housed in a powerhouse built from local wood. Power cables connect the output to the mains grid. Family provided nearly all the labour to undertake construction, which took eight months. Local builders, welders and hauliers were employed when needed. Fursdons had an initial start-up grant, but funded most of the development themselves. Electricity sold under a Non Fossil Fuel Obligation contract, guaranteed for 15-years. Visits from local schools, colleges and special interest groups welcomed, and talks and interviews given on micro-hydro and renewables. By the end of 2009, the scheme was still generating about 400 MWh/year of electricity. NFFO contract will soon finish, so other options are being considered. About 400 visitors come on guided walks each year. Both of the Fursdon’s children have returned to live and work in the neighbourhood, and their son-in-law runs a renewable energy consultancy. Scheme won the Dartmoor First Award for Sustainability in 2010.